Mahdi Hasan | I.K International Publishing House Pvt. 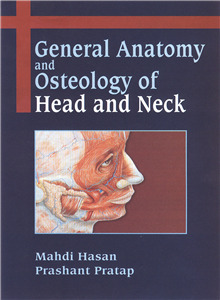 Ltd.
Mahdi Hasan, after obtaining his MBBS from King George's Medical College, Lucknow, started his teaching career from the same college in 1958. Later in 1963 he joined the newly established Jawahar Lal Nehru Medical College. He became Professor and Dean, a post he held till retirement. He has been a visiting professor at numerous foreign universities and medical colleges including Goettingen (Germany), Benghazi (Libya), University of Medical Science, Iran and Women's Medical College, Dubai (UAE). He has delivered guest lectures in world's leading medical colleges including New York, NCTR Jefferson, Hawaii, Chicago, Naples, Trieste and many medical institutes of Germany, Italy, Iran, Arab countries. He also won a number of major national and international awards which include BC Roy Award, Dr. Dharam Narayan Gold Medal, Dr. SS Mishra Medal, Hari Om Ashram Alembic Research Award, and Ati Vishist Chikitsa Seva Medal. He holds the fellowship of Alexander von Humboldt Foundation, Royal Microscopical Society England, International College of Surgeons, International Brain Research Organization, Task Force of World Health Organization Geneva, Collegium International of Higher Nervous Activity, Czechoslovakia, International Advisory Board of Neurotoxicology, USA. He is also an advisor to WHO. He has to his credit five books, seven book chapters, 125 research papers in indexed journals. His research work has earned him over 600 citations including those in the prestigious Nature, Gray's Anatomy, NIOSH and in 38 other reference works.